Clove…A Kitchen Market Brimming with Big Ideas That Will Inspire Your Cooking Experience! 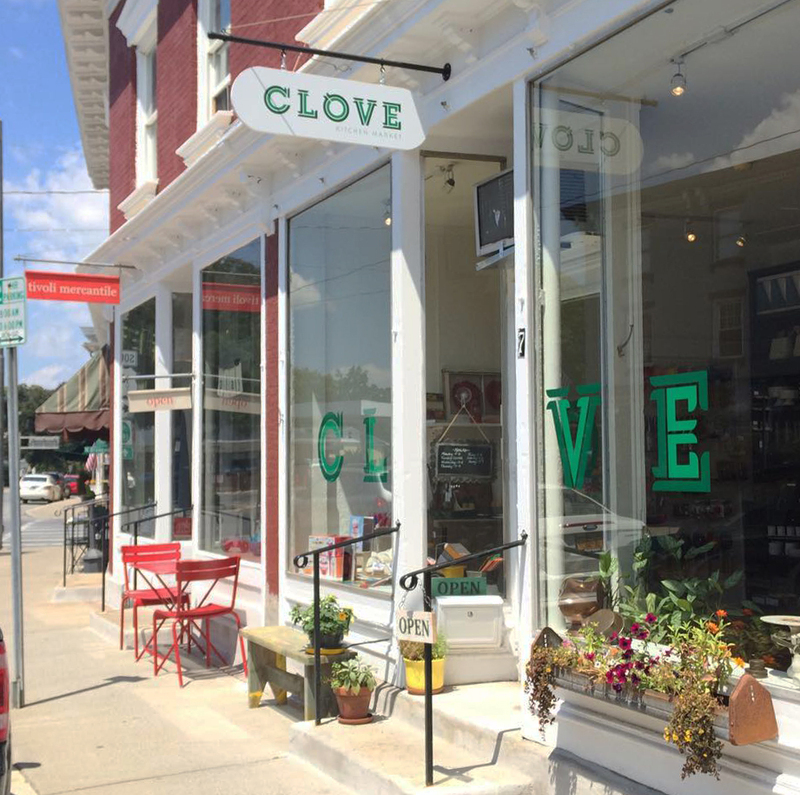 Clove Kitchen Market is a purveyor of small batch food and handcrafted kitchenware. 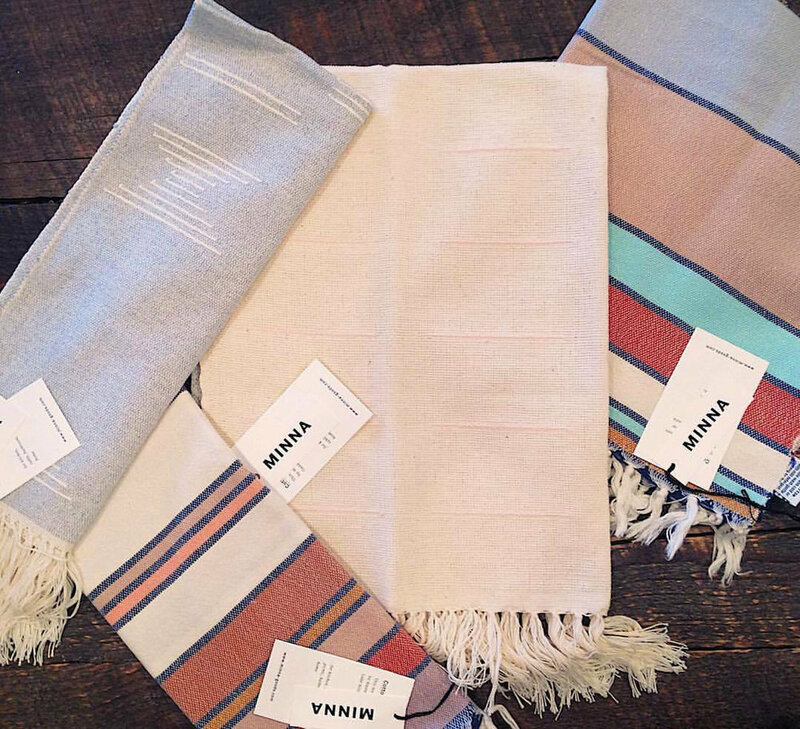 This charming shop, located in the historic village of Red Hook, New York, captures your imagination with its’ sophisticated collection of unusual gifts, kitchen tools and locally-made wares. Crafted with passion and made with love, the selection of gourmet Indie food items boasts local, hard-to-find ingredients and recipes that will inspire you to cook differently. Clove is generously stocked with bottled cooking sauces, cocktail syrups, seasonings, exotic chutneys and many savory condiments. Organic salt and local honey add flavor to your dishes. CHOOSE FROM HOT TO SWEET & SPICEY GARLIC SAUCES FROM FILFIL! Browse through smart kitchenware and beautiful handmade tea towels and linens, alongside very unusual glassware. You can even pick up a fresh bouquet of flowers! INFUSE YOUR FOOD WITH NEW FLAVORS AND INGREDIENTS—AN OUT-OF-THIS-WORLD SENSATION! Fruit Shrubs - Cocktail Time! A dose of inspiration…Clove enriches your entertaining and cooking experience! If you’re not familiar with The Chef’s Shop in Great Barrington, MA, it’s definitely a place to get to know. From cooking classes by noted chefs, to the very best and latest in kitchenware, you will find this experience insightful, educational and best of all, fun and relaxing. The Chef’s Shop most assuredly will become an important source for all your cooking, dining and entertaining needs. *Chef Julie Gale is the chef and owner of At the Kitchen Table Cooking School in Hillsdale, NY. In addition to private and group lessons, Julie caters small events such as wedding rehearsal dinners, anniversary celebrations and private cooking parties. *Chef Marco Belli is a personal chef today with over 24 years of experience working in many highly rated Berkshire restaurants in addition to having studied at the CIA in Hyde Park, NY. He is available for catering intimate small dinners as well as larger events. *Chef Michael Ballon opened the Castle Street Café in Great Barrington, MA, in 1989, after cooking in New York for 10 years as Executive Chef at Lavin's , Sofi, Wood's, The New York City Bar Association, and Plum’s, a full service catering company. He is also The Roundtable Chef on WAMC Public Radio. Class size is limited to 12 to include hands-on participation. Reservations in advance are strongly suggested to hold a spot and there is a 48 hour cancellation policy. Class fee includes a 10% discount for store purchases. Recipes will be provided for students to take home.